One of the biggest tragedies of this early 21st century is how Jesus’ church has morphed into something very contrary to his teachings. I thank Minnesota Pastor Stephen Mattson and Sojourners Magazine for helping me to realize that fact. American Christianity brought us to this point. It preached nationalism and sanctified American imperialism — promoting Manifest Destiny as ordained by God. The prosperity gospel baptized capitalistic greed, its preachers vilified the poor, and its theologians manipulated scripture to rationalize global colonialism. Salvation was no longer personified through Jesus, but was redesigned to be a political machine, fueled by its ability to control branches of government. This methodology was packaged as “Christianity,” and the gospel became a message of gaining social power and control rather than a call to follow Jesus’ life of selfless service and sacrifice. Christianity used to be our nation’s conscience but now it is becoming our tool of destruction. 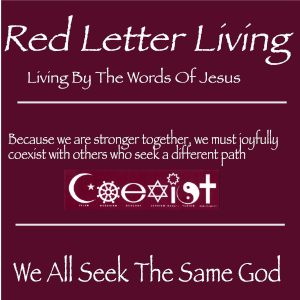 Christianity helped us look backward as well as forwards follow Jesus’ words about “brother keeper”, and “the least of these…” Now is it used to promote things very contrary to those teachings. The “Evangelical” who like to call themselves Christians have tainted that label beyond recognition. They say those who believe in the humanity of man, otherwise called secular humanists are destroying America. That very proclamation is about like Hitler saying “I am doing what I am doing for the good of Judaism”. Tragically, there are far too many who might otherwise have come to Jesus are running as fast as they can away from it because of “white Christian Nationalists”. Has the Christian brand been permanently destroyed by these very misdirected folks? Why can’t they even begin to fathom the damage they are doing? There is a battle going on in the Christian Church now for its heart and soul. That battle is between Progressive Christians, aligned with the Catholic Church, and the Evangelical movement who is determined to take over the label of Jesus and in the process destroy his teachings and legacy. We simply cannot allow that to happen any more than we can allow a second term for the current Oval Office occupant. It’s getting awfully close, though. Look at what the Methodist Church just did with LBGT rights. I always turn away from any group that thinks they are better than others or some how chosen by God. The Japanese once thought their emperor was descended from god. The Nazis and their Aryan supremacy. Once you believe you are superior there is no limit to what you will do to another group. People need to realize we just got lucky in the USA. There is no such thing as American exceptionalism or Manifest Destiny. This country abounded in natural resources and was protected by two oceans. That & immigration is why we have done so well. I think we all need to realize that child in Nigeria has the same right to live as your child in Iowa. This just does not hold true to one nation, something very similar is happening in India as well. Here too, religion is being re-interpreted in a form that benefits political organizations and this type of sectarian approach will only bring us down unless we do something about it. I couldn’t agree more, Rida. I’m just not sure what we should do about it. Maybe the first thing is to take away tax exemptions for those “religious” organizations that are more political than religious.